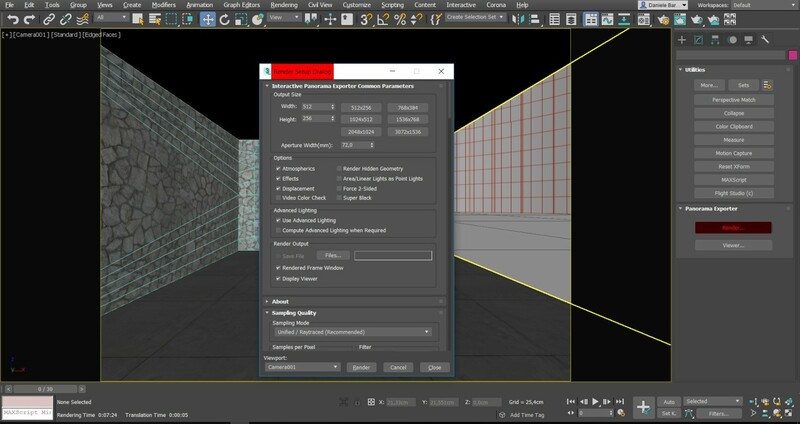 The following tutorial will explain how to create a 360° Panorama render using Mental Ray rendering engine in 3ds Max 2018 to upload on Pillar|VR and create an interactive virtual tours. There is no need to own the latest version of software, you could use the same method with the older version of 3ds Max and Mental Ray too. Before going into the specifics of the different steps needed to create a panorama, let’s understand how this simple process works. 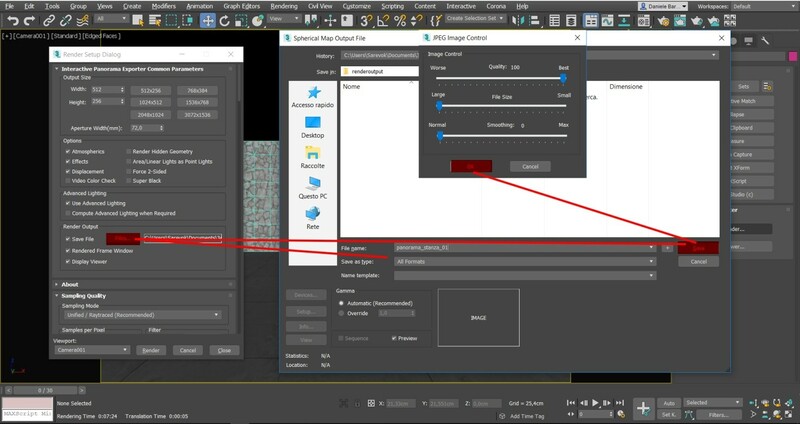 Basically, the creation of the panorama is achieved by positioning the camera right in the middle of the scene and then by letting the software automatically create 6 renders of the different sides of the scene, as shown by the arrows in the picture. 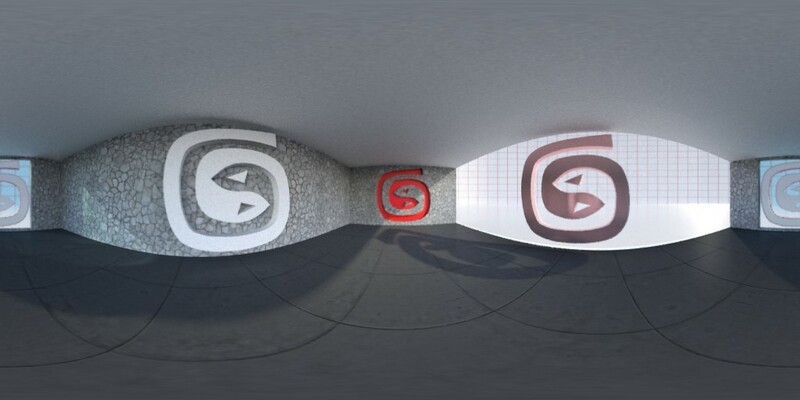 Once the 6 renders are done, they are transformed into spherical images - that can be uploaded on Pillar|VR engine - by another automatic tool we could find in 3ds Max. It is vital to place our camera right in the middle of the scene because that position will be our fixed observation point for all the renders. Now that the mechanism is clear, let’s go more in detail in the different steps to follow to create the panorama. To create the camera, first we should go on “ Comand Pannel” – “Create” – “Cameras” – “Target”. Once we choose “Target”, we should place our mouse on the scene from above – “Top” – and click with the left button on the exact spot we want to place the observer (camera). Then, without releasing the left button, we should drag the mouse to the spot we want to observe (target). If possible, it would be better to place the target outside the scene so that it will be easier to pick it up again in the future without interfering with any other object. Also, be careful to place the camera that is in the middle of the scene at a suitable height. Finally, I suggest placing the camera at a safe distance from the walls, otherwise they will take up most of the space in our panoramas and therefore they will not be very representative. 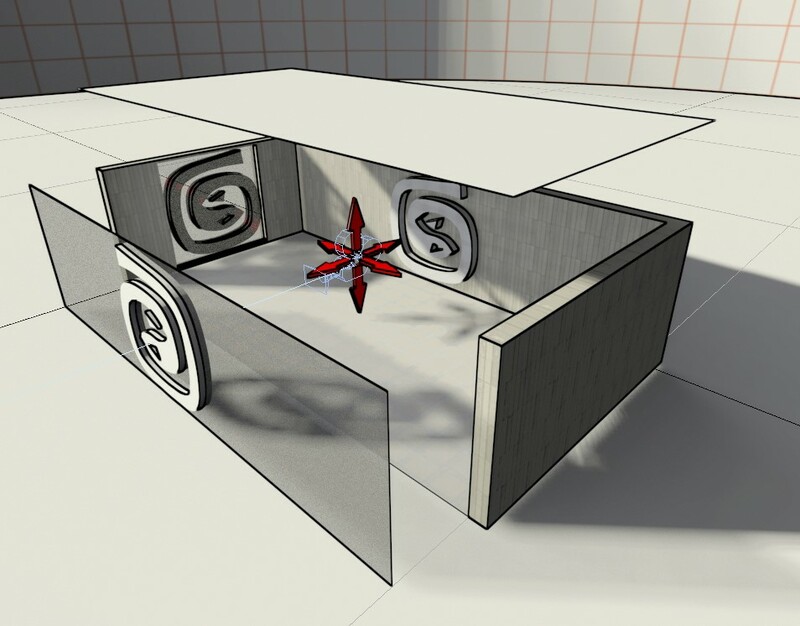 Now that the scene is set, we could tell 3ds Max to create our panorama through the panorama “ exporter”. 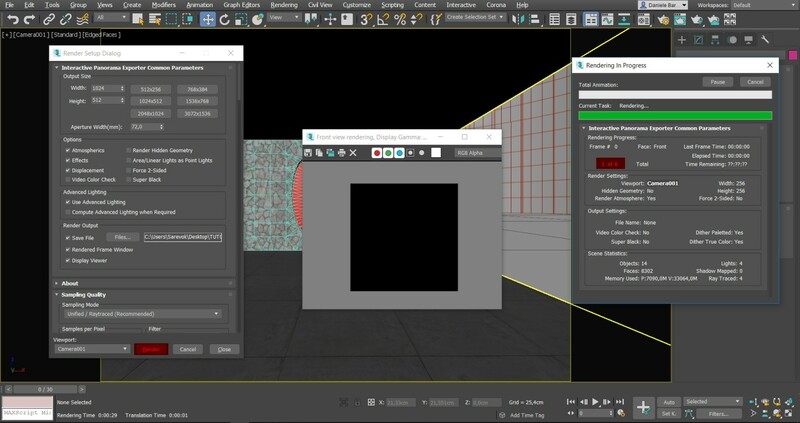 This is a useful function that could be find directly in 3ds Max and that make the software automatically calculate the time for the 6 renders and then automatically assemble the renders to create the panorama we need to realize a Virtual Tour through Pillar|VR. The path to open the “exporter” is the following: “Utilities” – “More” – “Panorama Exporter”. Once we executed the panorama “ exporter”, a drop-down menu called panorama exporter will appear under the Utilities drop-down menu. If we click on “Render”, another menu will appear on the screen named Render Setup Dialog. 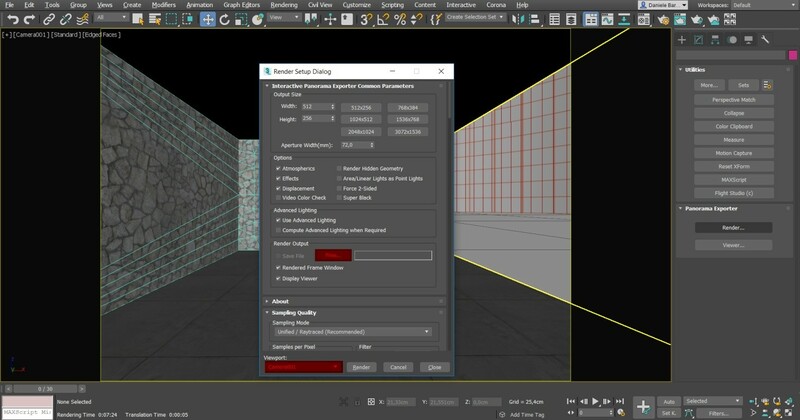 In this menu, we can set up the parameters for our render just like it’s a classic render. The only difference is that here the proportions are fixed (2:1) in the Output Size. We could use default pixel values – 512 for width and 256 for height – to run a quick test and see if we did everything right. Just bear in mind that 512x256 are the dimensions of all the 6 renders put together, so for the final panorama I suggest you increase these numbers to get a better resolution. 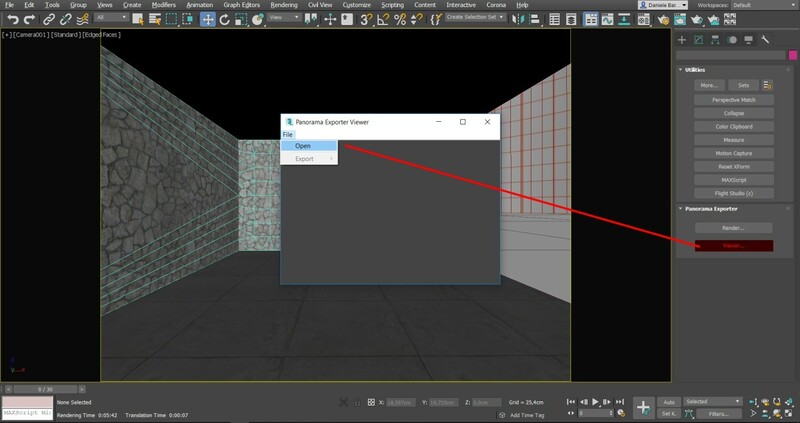 Once the parameters have been set, we should select the room for which we would like to create the panorama in the Viewport menu – in this example there is only one room but usually there are two or more. Then we should go in “Render Output” and choose the path and format we would like to save the file in, just as shown in the following pictures. We are now ready to create the panorama: let’s just click on the “Render” button and then 3ds Max will run all the 6 renders on its own. We just need to wait until it’s done. 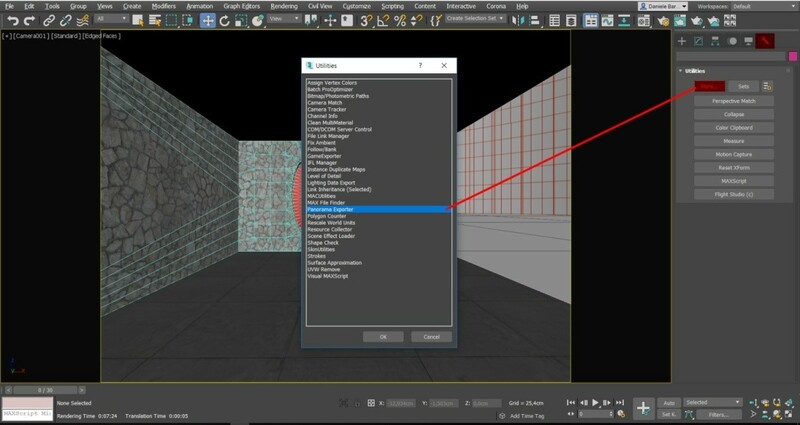 Once the renders are completed, 3ds Max will automatically assemble them and give as output a 360° panorama in the render window. In addition to the spherical format in which we have just saved the file, there is also the possibility to export our panorama as a cylindrical image. The Exporter QuickTime only works with 32-bit systems, so I suggest you avoid using it. The output will be like the following image, a spherical panorama but more stretched. This image is ready to be uploaded within Pillar|VR tool to create amazing virtual tours of your projects. 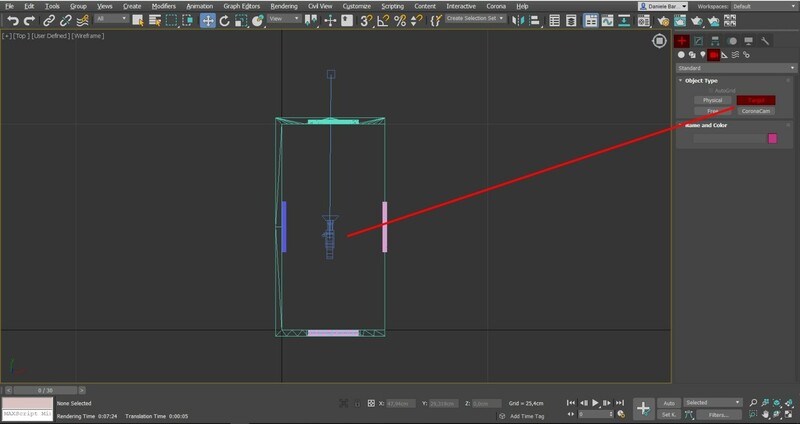 If we need to see our panorama again in 3ds Max before uploading it on Pillar|VR, we just need to use the internal viewer and open the image clicking on the button “Viewer”. If you'd like to submit projects to your clients in the most appealing way possible, try out our new platform Pillar|VR. 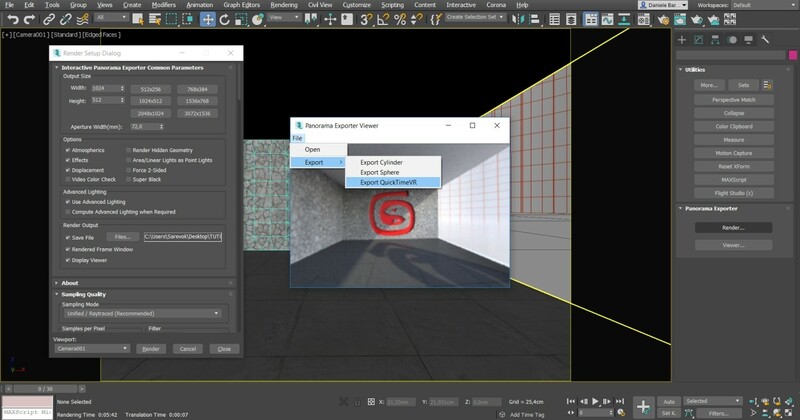 With few simple steps our cutting-edge tool will enable you to transform your 360° renders into a single and interactive Virtual Tour in a few minutes time. What is more, the possibility to add comments and notes will make sure that clients have an effortless and full comprehension of your work. Be sure to give the most value to the time you spend rendering with no additional effort by creating a unique and engaging experience for your clients!